If you are reading this you are probably drowning daily in diapers and toys. Your day is planned out according to your little’s schedules and to – do lists, leaving little to no time for you. It’s not that you don’t have the intention to prioritize your own health and alone time, it’s just that, you usually get to the end of the day and realize that you didn’t get to squeeze that workout in, meal plan as intended or spend some alone time reading, writing or insert your favorite alone time activity here. After talking to other moms, I have come to realization that this is something we all deal with. I have yet to meet another mom who says that she gets all of this time to focus on herself while having toddlers and possibly a newborn in hand. 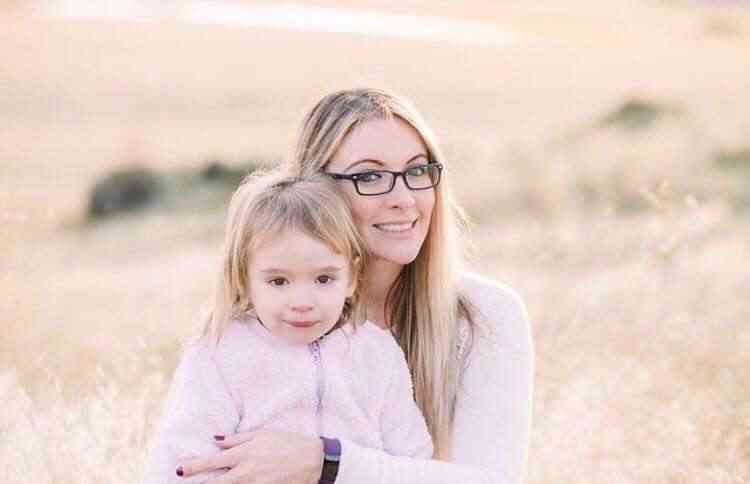 It is simply a time of life where we are trying to balance a ridiculous amount while still trying to find ourselves in our role of being [somewhat] new to motherhood. It is basically impossible to DO IT ALL! Most days go by in a total blur but I have found a few things that really take no extra effort or planning that help to keep my health; body, mind & soul, on track, even on the craziest of days! I have put a list together of the 8 non-negotiable that I do week to be sure I am still doing something good for me, outside of my mommying. Staying hydrated is a no-brainer for all of us. We know that it improves our health and energy levels but as you are going about your busy mom life, it isn’t always easy to remember to keep drinking your water. I have gone an entire afternoon and realized at dinner I still didn’t drink ONE thing. No wonder I was feeling extra sluggish that day! To keep myself in check with my water intake I keep a 32oz refillable water bottle with me all day. It sits right in front of me on the table where the kids play (higher up of course so they don’t grab it). Keeping it in sight helps me to remember to take a few sips. When I sit the boys down for meals or snacks, I know that is my time to take a breather for myself and get my body hydrated. I actually never used to take a multivitamin until I was pregnant. I took various other vitamin supplements but never a multi. After I got pregnant, as most women do, I started to take my prenatal and seriously have never looked back. I am now sure that I take a multi every day to keep myself from running too low in things like vitamin D which can also contribute to a foggy head or depression! The days are too crazy to be sure I am popping various vitamins and minerals throughout the day but a good, high quality vitamin once a day, that is something you can easily do. If you have trouble remembering to take your vitamins, set a reminder on your phone! So this one always felt really hard for me to do! Especially when people say to take 15-30 minutes a day to meditate or journal or whatever it is that specific author is touting that day. Motherhood can’t guarantee you those 15 minute and at the end of the day there is a good chance you are going to hit the bed so hard that you will pass out before you can get a second to do something like this. So I say take FIVE minutes. It is not a lot of time. 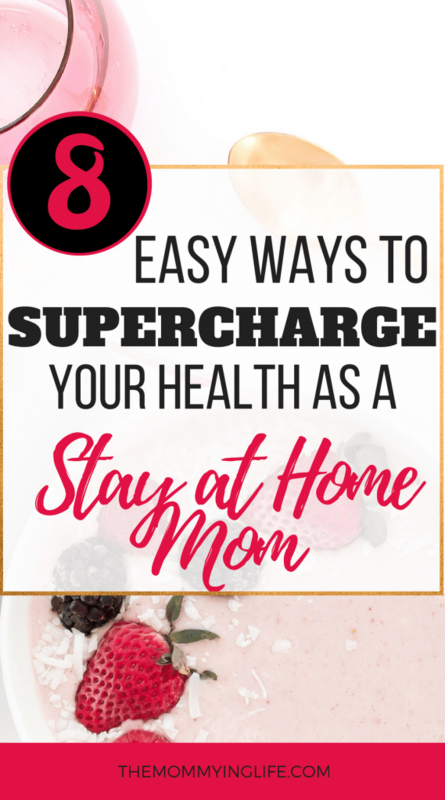 It feels like you might not be able to get much in five minutes, but come on you’re a mom, you are a master multi-tasking organizer, you can squeeze a lot into five minutes if you have to. My routine is somewhat close to right before I got to sleep I take a few minutes to reflect and pray and sometimes journal a few thoughts of the day. It makes my brain feel a bit more calm and relaxed before I settle in for sleep. This might be something you do already if you have picky kids! I have found that I can go throughout most of the day and not eat a vegetable! I always feed them to my kids for both lunch and dinner, but somehow I oftentimes don’t until dinner. So my new way around this is to always make extra vegetables so I have them ready for my lunch the next day. Prep a salad, have an extra serving of broccoli and carrots, roast some zucchini and peppers. These are things you are most likely going to do the night before for dinner, so why not double it up so you also have some healthy options for yourself ready to go the next day! This one is harder to work up to. But once you do, you will always designate a night or two that is 100% dedicated to mom! It is AWESOME! My go-to routines are to take a bath as soon as the kids go to bed, then settle in to bed early for some reading and then watch a movie or TV show that is just for me! If I have a lot in my head that I KNOW has to get done. I take out some paper and write down my to-do list for the next day / rest of the week. It helps me to stay on track knowing I will get to it, get it of my head and know that for me to do a good job with all of those tasks and mommying, it is important I got this one night just for ME! This is also a great night to tell your husband to do his own thing- within the house of course. I make sure he knows he is on duty if one of the kids gets up, but now they are older we don’t have that issue as much anymore (for new moms, it does get easier with the sleep, I promise! So if you are not fully there yet, don’t stress). So he goes off and does his thing I do mine. It helps to each have some alone time and I am happy to reciprocate to be the one “on call” if he needs a night with more time just for himself too. This little strategy has improved our relationship and my mental health! Do you find that even with a busy schedule with kids you still make the time to glance at your phone one too many times? Are you checking email, Facebook or scrolling through Instagram when you have a free second? I feel like most of us are guilty of this. It took me a few months to get out of this habit but it works! It frees up your brain and your hands. Do you ever find yourself looking at Facebook and then read something that is going on in the world or someone going on a vacation that you wanted to do so badly but couldn’t and then you are extra grumpy for the rest of the day. You might not even realize that is going on – I didn’t at first. That is, until I stepped away from looking at my phone throughout the day. My tip is to keep your phone around, if you are like us and don’t have a landline, you probably don’t want it too far out of reach in case there is an emergency. But keep it up and away and start to make a habit to not look at during the day. It takes some practice. To start, do social media free weekends. Then work your way up to only looking at things at a specific time you set for yourself. You will be surprised how much freer you feel! One of the top ways to improve your overall health is to forgive yourself. I know this sounds silly but bear with me for a minute! As moms most of us are pretty stressed out and stress can lead to other chronic health issues. Thus, by decreasing your stress you are automatically starting to improve your health. To stop stressing is pretty much going to be impossible. But you can start to decrease the feeling of overwhelm by forgiving yourself and accepting that you just can’t do everything you want to do each day. Some days are going to be absolute disasters and the best way to conquer the feelings of defeat is to forgive. Forgive and release. Since becoming a mother I found coming back to my faith, something I stepped away from for a while, was what started to get me back on track mentally. I have had a lot of depression and anxiety and a lot of it has been caused by feelings of not keeping up with everything I want to do. Once I started to release these feelings of inadequacy over to something greater and acknowledge that I was doing my best for where I currently am in my life, I started to feel a sense of relief. Little by little those feelings I was getting consumed in started to fade a little. Of course, this is a work in progress each day and every moment but it does work! So those are my 8 tips to supercharging your physical, mental and spiritual health each day. Remember some days are going to be tough, but with these simple tips you can start to gain some of your sanity back and know you are doing something really good for you and for your family. I will have to share this with my daughter. She had her second child in December and struggles with some of the same things. So glad you have a non-negotiable list of 8 things…keep adding to your list weekly! Continue to take time for yourself!